Familiars | Who Were They? Here are two photos from the Rudd collection that feature people looking remarkably similar! The top photograph is identified as Catherine Eliza Rudd, Kitty and Dr William Mann Rudd. Interestingly, another photo in the set identifies the adults as Dr William Mann Rudd and Eliza Catherine Mann. It was pretty common to intermarry among families, twisting lines around cousins first and second, etc. Further research may tell us how William and Eliza/Catherine were related. The family came from Rudd, Arkansas apparently. Iggy found some good information for the women shown on my previous post and I suspect he is correct. More to come, this was a family that enjoyed photos and correspondence! William M Rudd (Birth: Sep. 27, 1827 Death: Feb. 10, 1915) and his wife, Eliza C Rudd (Birth: Jun. 3, 1836 Death: Jan. 6, 1933) are buried in Springerville Cemetery, Springerville, Apache County, Arizona along with daughter Ida May Rudd. They moved from Arkansas to Arizona by covered wagon (Eliza’s diary is available in Ancestry.Com). They had a huge family! Pingback: Mary, Belle, Kate « Who Were They? Pingback: Boats, Bridges over Water, People « Who Were They? 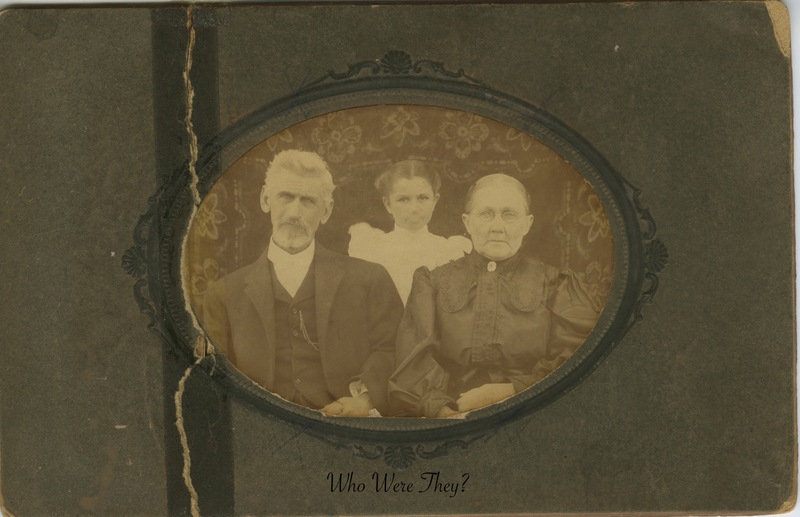 Pingback: Colter Family « Who Were They? 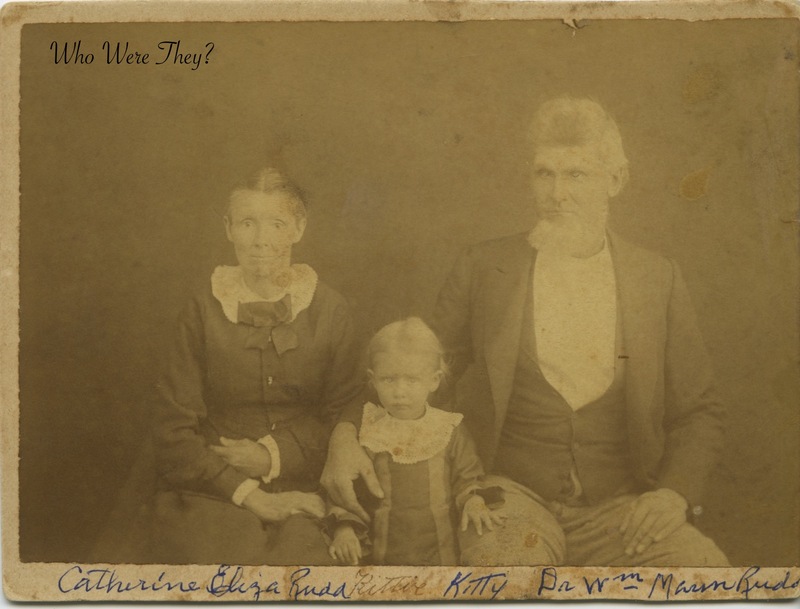 William Mann Rudd & Eliza Catherine Rudd were married Nov. 19, 1853 at Clarksville, Tenn. Copied from Rudd family bible while visiting in Springerville in 1940. Other dates of death added later. Hi Ginger – check your inbox. I have tried to contact you and will try again. I am interested in the picture you have of the Dr. and Mrs. Rudd–and in any info you can share on your part of the family. In exchange I have a small box of pictures that I do believe belonged to your side of the family. It’s a long story (too long for here) but got them from a woman who found them from a man who bought a storage shed that the payments had not been kept up on. I would be excited to send them to you as they deserve to be returned to the right part of the family (I have had them for 15 years). Hi Ginger – I emailed you yesterday. Have you checked your junk mail folder? I also heard from your niece I believe.